Cosmetic Dentist Dr. Michael J. Wei has received “America’s Top Dentist for 2012” award for providing outstanding dentistry to his patients. Cosmetic Dentist Dr. Michael J. Wei has received “America’s Top Dentist for 2012” award for providing outstanding dentistry to his patients. 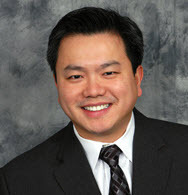 Michael J. Wei, DDS had the distinct honor of being voted one of America's Top Dentists 2012 by the Consumer's Research Council of America. Consumer’s Research Council of America is a private company that evaluates and compiles lists of America’s top professionals from various industries. The selection process is based on a point value system that awards points for education, years in practice, and affiliations with professional associations. This prestigious recognition is highly sought after by dentists nationwide. Consumers' Research Council of America provides consumers' information guides for professional services throughout America. It is their purpose to help educate and assist consumers in obtaining the finest professional services. They specialize in the healthcare, education, legal and financial industries. Consumers' Research Council of America does not accept fees, donations, sponsorships or advertising from any individuals, professionals, corporations or associations. This policy was enacted to ensure an unbiased selection for the lists of America's Best. For more information about the cosmetic dentistry services offered by Dr. Michael J. Wei or to schedule your complimentary consultation, call (212) 982-4080. The Consumers' Research Council of America is a Washington, D.C. based research organization providing consumers' information guides for professional services throughout America. Consumers' Research Council of America helps consumers with identifying the finest professional services available in their area of the USA. 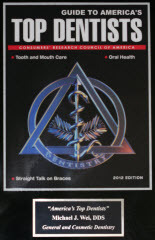 For more information visit http://www.consumersresearchcncl.org/.